Today is my day off and a great opportunity to reflect. I had an great week. I had a lot of fun along with a lot of new yoga. A "one on one" class, a new Budokon class, a new hot class in Tampa, my third Dharma class, a new yin class, followed up by three back to back to back classes yesterday. WOW! When I get into so many new experiences I find it best for me to take a break from the outside world and do something that is comforting to me. Today I am painting and watching football. It is a chance for my mind to catch up with everything that is going on around me. I am pretty high on the introvert side and regain my energy when I am alone and doing what I like to do. Looking back over the week, all of these new classes and experiences have opened my mind quite a bit. I want to continue to venture into several different types of yoga and see where it takes my mind and body. 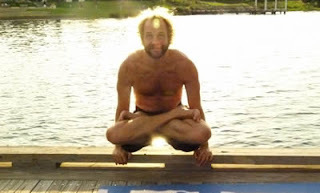 I want to look into old traditional yogis versus the new modern yogis. 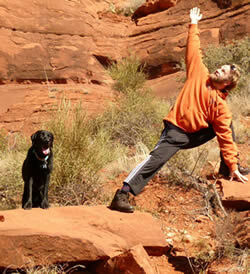 I am thinking of interviewing people to find out what yoga means to them. I want to learn. I love the path this week alone has taken me. I feel like I have found more of a gentle side for my body and soul. I do not feel like I need to prove myself to other people. I feel appreciative for the people I have around me (both positive and negative). I feel like life has so many opportunities. I feel like I have nothing to hide in my life. I owe these new findings about myself to trying new things. There are so many opportunities that we pass up in our lives. If something is healthy and may be good for us why do we turn these opportunities down? Our minds justify not to do things so easily. Not enough time? Not enough money? Afraid of what someone else will think? If you are looking to try a new yoga or want to start a yoga class, make time. If you do not have the funds find a free class. If you are scared of what someone else may think, do it anyways. I was scared to start yoga. My mind was pretty worried about what other people thought about me during the class. Now that I look back, I think yoga may have been the best thing for this. At one point throughout my practice I no longer cared what anyone else thought of me in the class. Yoga was never about that. It was all inside my head. Oh by the way. I am on day 2 of my week without coffee. I am thinking that I may be better off without it, but am not convinced of it yet (or at least am justifying reasons not to do something healthy for myself). It is was one of my vices that I still love, and drink about 1-2 cups a day. I am not ready for it to be completely out of my life, just trying to see if it helps me in a few things. Maybe I will write about this more later? I look forward to the next months of reflecting, learning, growing, failing, and everything else that comes my way. If you want to hear more about a subject or like something in this blog let me know. Email me or send me a comment.